We understand that dealing with a number of complex challenges daily such as non-compliance, data breaching, confidentiality, and complex long-term treatment plans makes a selection of a mental and behavioral health EMR Software for your practice a high-risk decision. One right choice can make all the difference in improving the efficiency of your practice. Most standalone Electronic Medical Records (EMR) Software (both cloud-based and premise-based) has an extent to which they can support functionalities such as e-payment, ICD-10 coding, claims submission, and RCM. One of the major problems is physicians settling for any medical-oriented EMR Software because of either budget constraints or lack of knowledge about the available customizable choices designed to suit the unique specialty-specific needs. 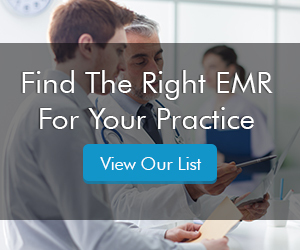 Resulting in you ending up with a no-good robust EMR Software too expensive and not entirely suited to your practice’s unique needs.